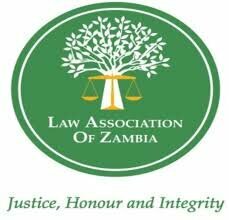 THE Law Association of Zambia (LAZ) has become an appendage of some political grouping and is now pushing the agenda of a notorious clique of individuals whose agenda is to see regime change in Zambia, Henry Mulenga has charged. Mr Mulenga, who is Gallant Youth in Zambia executive director, said it would be important for Zambia to have another legal body that could truly serve the interests of citizens because it had become clear that LAZ in its current form had become politically compromised. He said LAZ had lost the confidence of Zambians as it had traded its mandate and usefulness with political conspiracies and had allowed itself to be used by individuals with selfish motives. He said political patronage at the legal body was undermining the judicial system. He said President Edgar Lungu was doing everything possible to let the judiciary work independently and it was for that reason that a dependable legal body that would represent the interest of Zambians was created. He cautioned the Patriotic Front to be wary of the work of the cartel because their mission was not over. Mr Mulenga said as much as the ruling party was expected to receive more defectors from various political parties, it was important to note that the cartel was still a threat. He said the cartel had a mission to destroy whoever was not dancing to their tune and therefore not everyone who was defecting to PF should be trusted. He said the cartel was not happy because President Lungu had managed to dismantle them one by one, adding that the Zambian people should be on the lookout all the time. “What is expected of the new-look PF under President Lungu is to grow the party by bringing credible personalities with diverse professional backgrounds to join hands with the old ones that will take the party to greater heights,’’ he said.